Protect CDs and Diskettes in the post. 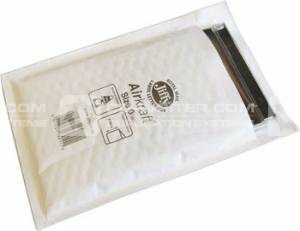 Manufactured from tough white Kraft outer with tear-resistant Air Cap Bubble liner. Self sealing closure. Sealed . Air . - . Jiffy . CD . Bubble . Envelopes . Size . 100 . PACK .